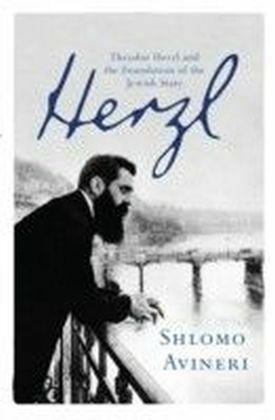 Drawing extensively on his diaries as well as his published works, this intellectual biographical follows Herzl's transformation from a private person into the founder and leader of a political movement which made the quest for a Jewish state into a player in international politics. Contrary to the conventional view which saw the Dreyfus affair as the trigger for Herzl's loss of belief in the promise of Jewish emancipation, Avineri shows how it was the political crisis of the Austro-Hungarian Habsburg Empire, torn apart by contending national movements, which convinced Herzl of the need for a Jewish polity. In response to the wide resonance for his 1896 THE JEWISH STATE, Herzl convened the first Zionist Congress in Basel in 1897, which established the World Zionist Organization with its representative and elected institutions, this in turn became the foundation for Israel's democratic political system. In his efforts to gain international support for a Jewish state, Herzl met with the Ottoman Sultan, the German Emperor Wilhelm II, Pope Pius X, British, Russian and German ministers, as well as an enormous number of other government and public opinion leaders of most European countries. By the time of his early death in 1904 at the age of 44, Herzl succeeded in putting Zionism on the map of world politics, no longer an esoteric idea held by a small group of Jewish intellectuals in Eastern Europe.